I’m Ed Smith, A Napa Brain Injury Lawyer. Few injuries have the potential to change a family as quickly and as drastically as a traumatic brain injury. Although there have been new developments in the diagnosis and treatment of head and brain injuries, neurological damage can still be devastating. Importantly, the impacts are felt not only by the individuals but also by their family and friends. While this research has led to newfound hope for individuals that previously had none, countless families are still impacted every year by traumatic brain injuries. Sometimes, these individuals develop complications and comorbidities stemming from the head trauma that could affect themselves and their family for the rest of their life. Therefore, it is essential for every family dealing with a traumatic brain injury (TBI) to think about some of the points below. One of the most important factors that everyone needs to remember is that time matters in brain injuries. The brain is a delicate network of many neurons that power the motor and sensory function of the entire body. Furthermore, these neurons are also responsible for the judgment, inhibition, and executive function of the brain. Unfortunately, unlike other parts of the body, the neurons in the brain do not regenerate once damaged. Therefore, any damage to these neurons is often permanent. Following a traumatic brain injury, it is essential for everyone to seek medical care as quickly as possible. As the saying goes in the medical field, time is tissue. The sooner a TBI is diagnosed and treated, the better the outcome for the individual. CT Scan: A CT scan is fast and creates a three-dimensional image of the head. It uses differences in density to generate its picture. On the other hand, this scan also requires a lot of radiation to produce its image. It is great at showing bone fractures and brain bleeds but doesn’t provide much detail about the brain tissue. MRI Scan: An MRI produces a more detailed three-dimensional image than a CT scan. It shows not only bones and fluid but also changes in the brain tissue. While this scan does not use any radiation, it takes a long time to produce its picture. Therefore, this is typically only done after the individual has been stabilized. Chronic Pain: One of the most devastating complications is chronic pain. If the neurons inside the brain have been damaged, they often have trouble perceiving the signals from the rest of the body. The brain often translates these signals as pain. Motor Loss: Depending on the location of the injury inside the brain, the individual could suffer a cervical sprain or lose the function of one or more limbs. This could take the form of reduced strength, reduced range of motion, or coordination difficulties. Memory Loss: One of the most challenging aspects of a traumatic brain injury for a family to deal with is the loss of memories. Sometimes, people who have suffered a TBI struggle to identify the faces of family members and friends. This can be tough for a family to process. Mental Health Struggles: Studies have shown that individuals who have suffered a TBI have higher rates of mental health disorders than the general population. These include depression, anxiety, schizophrenia, and dementia. It is a good idea for family members and friends to be prepared for these complications following a severe head injury. The earlier these complications are identified, the faster the individual can get the help that he or she deserves. 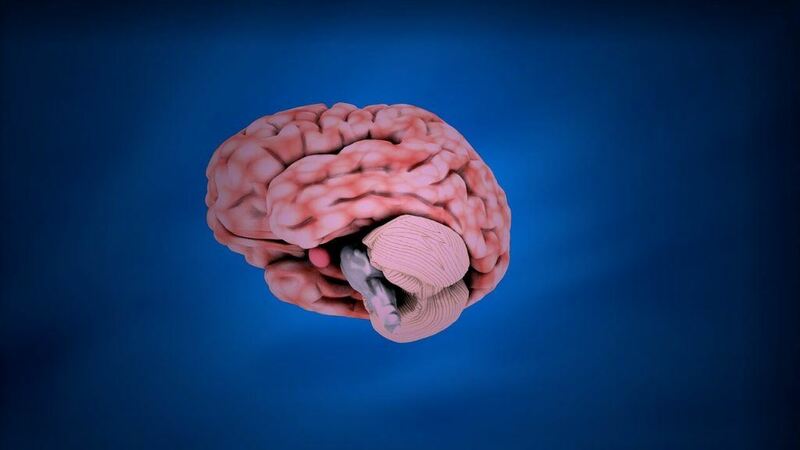 Watch YouTube Video: Understanding Traumatic Brain Injury. This informative video gives us a closer look at how a traumatic brain injury occurs and how it can affect millions of people every year. Look into the accident by reviewing detailed records. Negotiate with banks and insurance companies to make sure that bills are paid correctly. Hold any negligent parties accountable for the injury. No family should ever have to face the consequences of a traumatic brain injury without help. Make sure to reach out to a Napa brain injury lawyer today. I’m Ed Smith, a Napa Brain Injury Lawyer. If you or someone you know has suffered a traumatic brain injury in an accident, please reach out to me at (707) 564-1900 or (800) 404-5400 for friendly, free advice. I have been inducted into the Million Dollar Advocates Forum for the state of California. This distinguished membership of injury lawyers has been grouped with some of the best attorneys in the United States. Its members have won verdicts or settlements of over one million dollars for a client. Please view my membership as a member of the Top One Percent, a National Association of Distinguished Counsel. You are invited to view some of our verdicts/settlements. Read what some of our past clients have to say about working with us: Avvo, Yelp, and Google.